We’ve been spoilt for choice in the last few weeks with new phones from big names like Apple and Samsung, but be still our little beating hearts – there is more. And it comes from the handset manufacturer that first sparked my delight in all things mobile phones … Nokia. Although it was the de-facto handset manufacturer for a number of years, since the N95 (for me anyway) it has not been able to lure me into buying one of its handsets. However, Nokia has been making interesting waves recently by taking its link with Microsoft to the next level. No we’re not quite talking wedding bells, but they sure as hell are getting on pretty well from where we’re sitting. 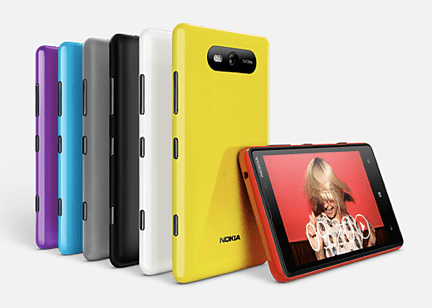 Not content with just running Windows 8, Nokia’s Lumia 920 is the flagship device for the operating system and therefore, strictly speaking, the best Windows 8 device on the market. 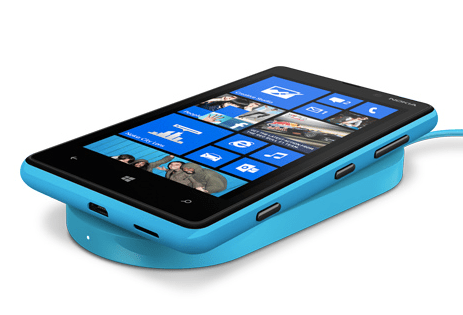 It is joined by the Nokia Lumia 820 as the first devices in Nokia’s Windows Phone 8 range. The thing that gets me really excited about the Lumia 920 is its photographic capabilities. It comes with Nokia’s PureView with “floating lens” technology, meaning it is able to capture images in five times more light than its competitor smartphones without using a flash. Which might not sound ground-breaking to you, but it means the smartphones camera is much more akin to the digital camera / SLR that is taking up space in your bag and would become all too soon redundent with this in your hand. 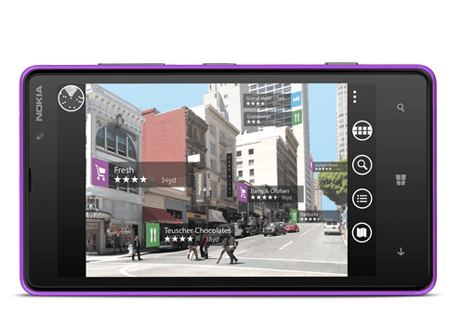 The camera’s capabilities are also utilised in Nokia City Lens, the latest addition of Nokia’s location services. By simply pointing the camera at a location, data is overlaid using augmented reality to show you information on restaurants, shops, hotels and more. 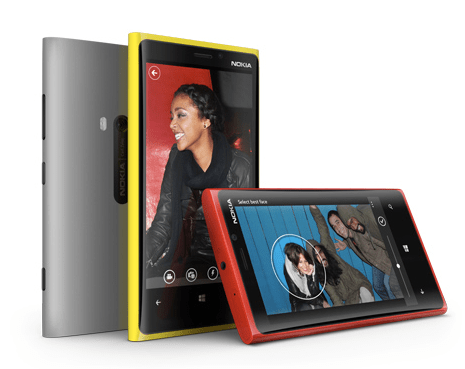 The Lumia 820 is a lower-end version of the range, offering competitive features at a lower price-point. The device comes with exchangeable shells that remind me of the original Nokia face-off devices that got us all so excited all those years ago. The shells also mean that wireless charging comes as-standard and beneath the shell is a handy little SD card slot.